Check out these tasty side dish recipes featuring fresh, local ingredients. These spotlight-stealing recipes will give your turkey a run for its money! 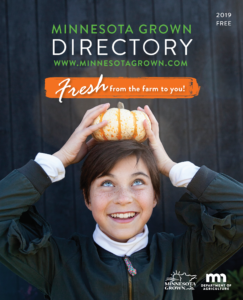 Each of these recipes were contributed by Minnesota Grown members. 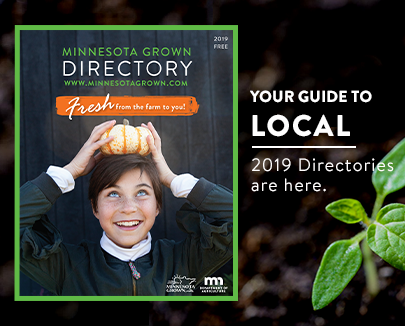 Click the ingredient links to find local sources in the Minnesota Grown directory. In a heavy 2 quart saucepan combine pumpkin, potatoes, onion, stock, water, and rosemary. Cover and simmer for about 30 min until pumpkin is tender. Let cool, then peel the skin from the pumpkin and return to broth. Puree the mixture in batches in a blender or food processor. Add the cheese, salt, nutmeg and pepper. Heat through and serve hot. Also freezes well. 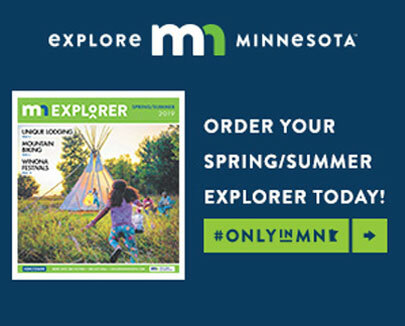 The original recipe is from Preserving the Harvest by Carol Costenbader. Preheat the oven to 350 degrees. Spray or butter a 9 x 9 square pan, line with wax paper, and spray or butter the paper. Set aside. Whisk the flours, soda, salt, and spices together in a medium-sized bowl. In a large mixing bowl, whisk the eggs and sugars until very well blended. Add the vanilla, buttermilk, and applesauce and whisk until completely combined. Using a spoon, stir in the flour mixture, then fold in the grated vegetables and fruit, stirring until completely coated with batter. Spread the batter evenly into the prepared pan. Bake on the middle rack for 35 to 45 minutes, or until the cake tests clean with a wooden toothpick. Let cool for 15 minutes, then invert the cake onto a cooling rack. Remove paper, and invert again onto a serving plate. Cool at least 1 hour more. Meanwhile, make the frosting: In the work bowl of a food processor fitted with the paddle attachment, whip the butter and cream cheese together on medium speed until light and smooth, about 3 minutes. With the machine on low, add the sugar, a little at a time, then the cider and cinnamon. Scrape down the sides of the bowl, increase speed to high, and whip for 2 minutes. Spread half the frosting on the cake and reserve the other half for another use, or split the cake in half horizontally, fill the center with a thin layer of frosting, then frost the tops and sides of the cake.